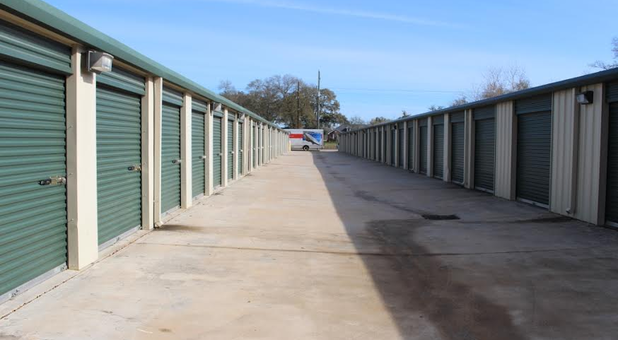 With seven locations in southeast Texas, we’re sure we have the perfect storage unit for you. We have a range of amenities and unit sizes for you to choose from including online bill pay, U-Haul truck rentals and moving supplies for sale. Give us a call or stop by one of our facilities today and let our knowledgeable manager tell you about all our options. 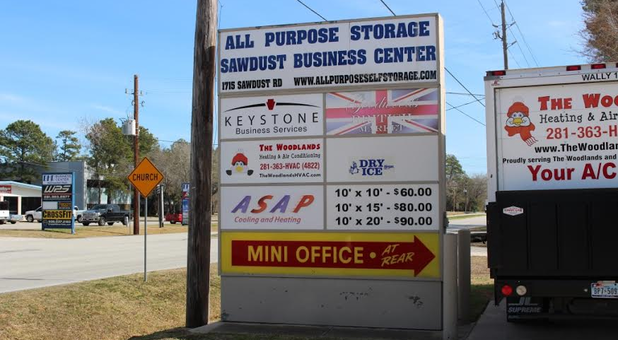 All Purpose Self Storage operates seven storage facilities in the north portion of the greater Houston area, including Tomball, Spring, The Woodlands, and Orange, TX. Find each of our facilities near major highways and interstates. Find the facility in the most convenient location near you to get started. We offer the best storage experience with our variety of amenities to make your move easy and to keep your belongings safe. No matter which facility you choose, all of your storage problems will be solved with ease. Start storing with All Purpose Storage today! When you store your belongings at one of our facilities, you’ll receive the best service from the most qualified storage experts in Texas. Each of our team members, no matter the location, goes above and beyond for every tenant. At All Purpose Storage, we take our jobs seriously and we want to make sure that all of your storage needs are meet efficiently and effectively. Rent a unit with us and you’ll have access to all that we have to offer. You’ll never end a call or visit without a smile and satisfaction. 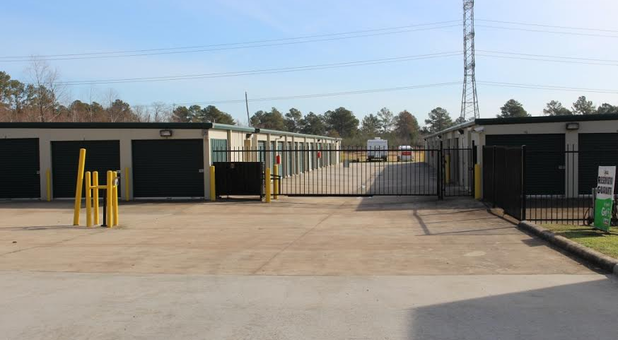 We offer climate controlled storage units at a few of our facilities as well as a 24 hour kiosk at The Woodlands location. Some of our other amenities include online bill pay, U-Haul truck rentals, boxes at various sizes and other essential packing supplies. Our facilities are all secure with security cameras monitoring the property 24/7, fenced and gated. We also have parking spaces for you to store your vehicles and drive-up access in our ground floor standard units. If you ever have trouble figuring out what unit size you need, our storage calculator is a great tool.